Leave your window open! This is the first advice I can give you when traveling to Wakatobi islands. When the plane approaches the airport the view you get from above is stunning. A green island surrounded by all shades of blue. You can see the reefs, shallow warm beaches, and the boats floating on crystal clear water. If you are dreaming of traveling to paradise, here is your fix: book a trip to Wakatobi – Indonesia, follow our mini guide and be happy! Wakatobi is a group of four islands [Wangi-Wangi (WA), Kaledupa (KA), Tomia (TO) and Binongko (BI)] located in Southeast Sulawesi, Indonesia. It’s also a Marine National Park, the second largest coral reef in the world, with more than 750 species of fish, 850 known types of coral, and 50 spectacular dive spots. The natural features make Wakatobi islands one of the world’s best place to dive and snorkel. This underwater paradise is still an unknown destination in Southeast, and It’s not easy to travel there, but totally worth it. There are plenty of things to do in Wakatobi, and if like me, you are an average swimmer without a diving certification, no worries you can enjoy the island too. I stayed in Wakatobi 3 days, time enough to explore some islands, enjoy nature, learn about their culture and fall in love. Divers and non-divers, beach bums, sailors, nature lovers… Wakatobi Islands must be on your travel bucket list! 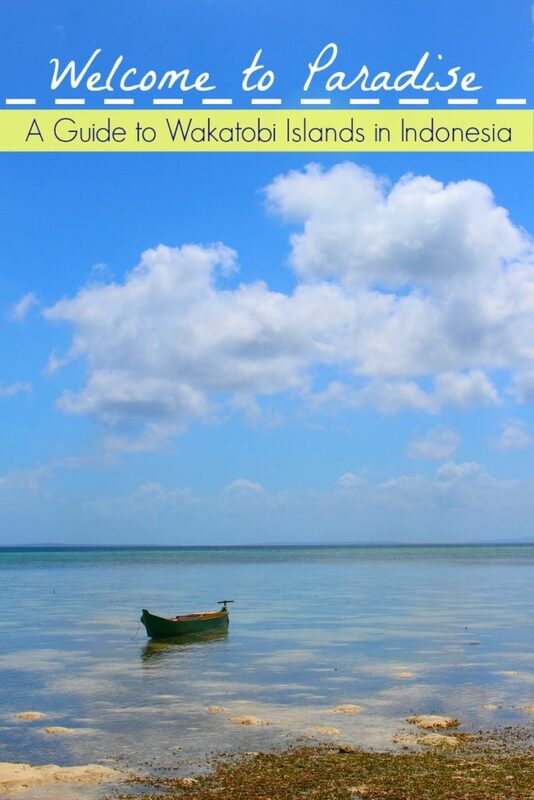 Book a flight to this little paradise, enjoy the sun on your skin, the gentle breeze in your hair, taste fresh fish and sweet coconut water… To help you plan a trip to Wakatobi Islands we put together a mini guide: how to get to the islands, hotels to stay and things to do in Wakatobi. Travel tips to enjoy the best of these tropical islands. Water activities are the top things to in Wakatobi, you can book a tour based on your swimming skills and how comfortable you feel in and under the water. Diving is the big thing in Wakatobi, the resorts and the dive agencies have daily trips to some amazing spots in the Marine National Park. Doesn’t matter which level you are, if you have the equipment or not, those guys know how to organize everything and you only need to bring your underwater camera. Wangi-Wangi is the biggest island in Wakatobi, where you can find a bigger range of diving companies and hotels, and from there explore the whole park. Around Wakatobi Islands there are some dive resorts, from simple beach bungalows to 5-star villas and luxurious liveaboard cruises. I had a blast snorkeling in Wakatobi. The shallow bays with coral gardens and the underwater cliffs give you an outstanding snorkeling experience. You don’t get bored of being in the water. During my trip in Wakatobi I had two afternoons of snorkeling, on the first day we jumped at the Sombu dive spot, at Wangi-Wangi Island. The water was warm, nice corals, colored fishes and easy to swimming. 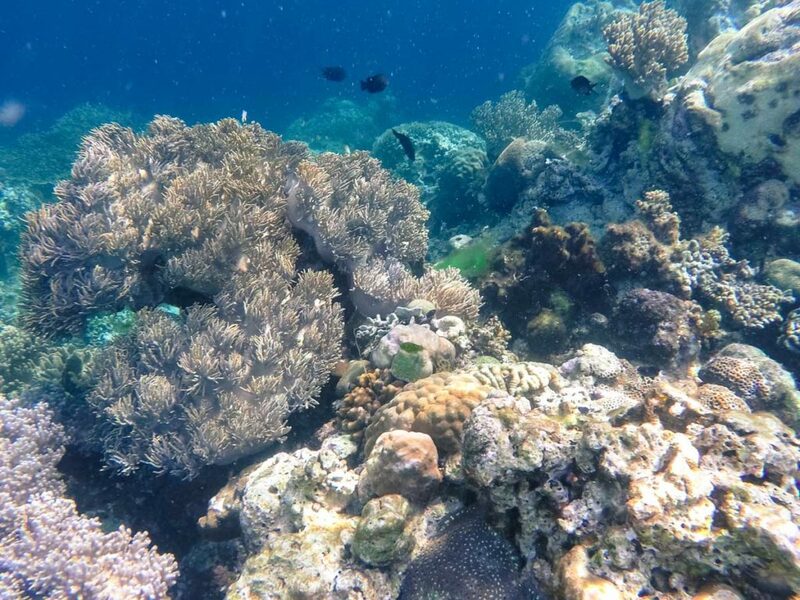 Our second snorkel was at Hoga Island [2 hours by boat from Wangi-Wangi], and it was superb. Yellow corals, blue starfishes, and crystal clear water. Brilliant! If you are a morning person you can see the dolphins swimming around the Wakatobi Marine Park. The guides and the local people know how to predict when they are coming, and most of the time they will be swimming close to the islands between 6AM to 7 AM. Depending on which islands you are, you can do many water activities. From kayaking, sailing, stand up paddle, kite surfing to swimming. You can choose your favorite activity, or maybe try them all and have an overdose of “vitamin sea”. All the equipment can be rented. Don’t be shy, ask the hotel staff about the water activities and enjoy every second at the Wakatobi Islands. White sand beach, warm water and palm trees, Hoga Island is the ultimate paradise in Wakatobi Islands. The 2 hours on the boat from Wangi-Wangi till there were totally worth it. Despite its beauty, the island remains undeveloped, with a few resorts and a handful of dive shops. You can go there for swimming, enjoy the day by the beach, or have lunch in one of the hotels. Don’t forget to bring your sunglasses, the sand there is so white that hurts when you look at it. 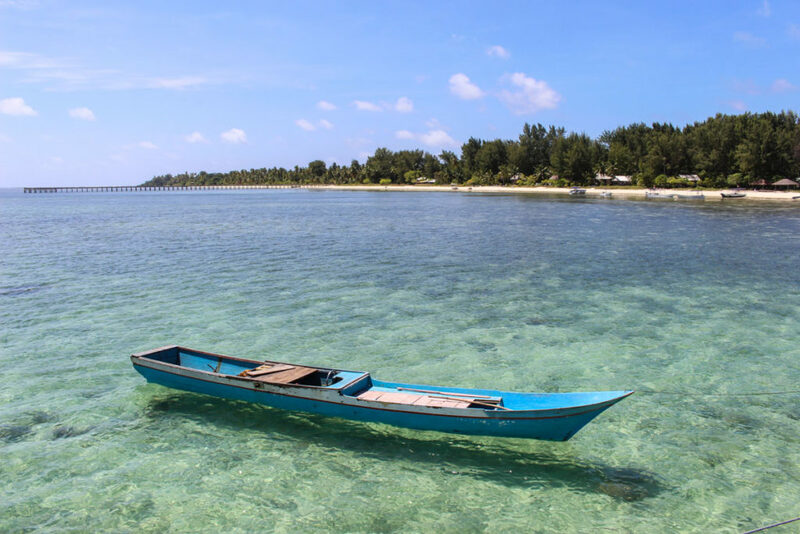 Wakatobi is an adventure travel destination, with a bunch of water activities and endless hours on the boat. However, if you want to be a beach bum and spend your day under the sun, do it! Appreciate nature and relax are the top things to in Wakatobi. Hoga Island is perfect for lazy days and Pantai Cemara in Wangi-Wangi is a great option for those who want a coconut water and food without leaving the beach. The days in Wakatobi are packed with stunning nature but for me, nothing beats a golden sunset. When planning your boat tour in Wakatobi Islands ask the captain to stop the boat so you can watch the sunset in the middle of the sea. It’s stunning! Don’t book any activity between 5PM to 6PM, catch the sunsets are a must in Wakatobi, believe me! From the beach, while sailing, or from your hotel room, celebrate the moment! Enjoy the sunset and be grateful for one more day in paradise. It’s not only nature that surprised me in Wakatobi, the people there and their culture are peculiar too. The food, the dance, their believes, everything is linked with nature and the challenge of living surrounded by water. When I arrived in Wakatobi we were greeted with a traditional dance at Pantai Cemara Beach. The contrast of the pink clothes, the smile of the kids and the blue sea in the background were amazing. The cultural performance and the lovely smile from the locals set the mood of the trip. From that moment I knew I was going to have a wonderful time in the islands. The culture in Indonesia is diverse, and in Wakatobi you have the chance to meet the Bajo People, the sea gypsies of Indonesia. This tribe has been living in the sea for centuries. I visited one of the Bajo villages and it was an unforgettable encounter. Such a deep experience that made me wrote a post about the lesson I learned from the Bajo People. Wakatobi is not an easy destination to reach, you will need to fly to Jakarta, Bali or Makassar, and from there take another flight to Matahora Airport in Wangi-Wangi island or to Tomia island. The transportation between the four islands is by ferry or a private boat. Some diving resorts in Wakatobi Islands offer free transfer from the airport to the hotel, don’t forget to ask them when doing your booking. The best website to search and book your flights to Wakatobi is Skyscanner. They have all the local airlines listed and you can compare price and connections. During my trip to Wakatobi, I stayed at Patuno Hotel & Resort in Wangi-Wangi island. The location is superb, right in front of the sea, easy reach the beaches on the island and the diving spots. The hotel is simple but has all you need to relax after a long day exploring the park. It’s a good value for money, the staff is lovely, but don’t expect 5-star service, either internet connection. 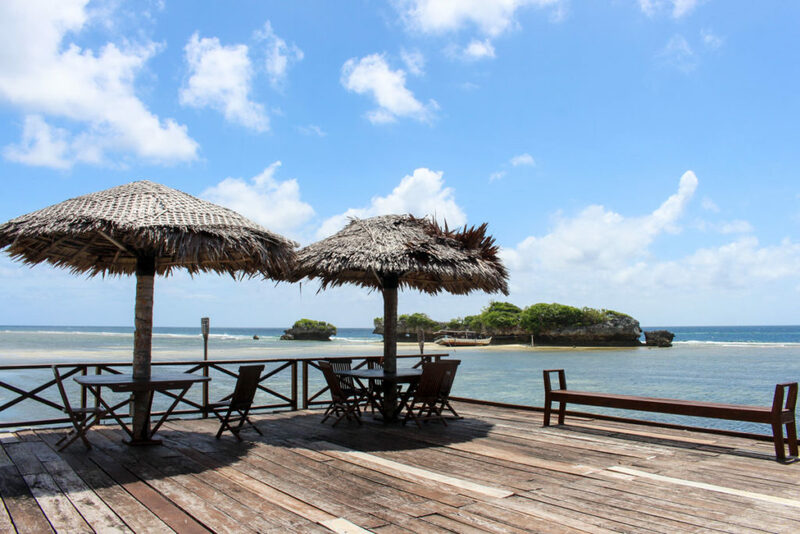 If you are looking for something more glamorous, Wakatobi Dive Resort is a perfect choice. Located in Tomia Islands it combines luxury experience, diving, and dining. March to November is the best time to travel to Wakatobi in Indonesia. The peak season is between April -May and September – November. The water is warm all year long. January and February are the rainy months. It’s a tropical island, mosquitoes, spiders, and geckos are locals there. So bring a good mosquito repellent and sunscreen. The food in Wakatobi is based on fish and seafood, enjoy fresh dishes and don’t be afraid, try everything. Muslim is the predominant religion in Wakatobi Islands. When visiting the town try to dress respectfully. By the beach and at the resorts you can wear your swimming suit without a problem. Love it?! Pin it for later!! Now you know everything about this little paradise. The best things to do in Wakatobi Islands, where to stay, how to get there and practical tips to make the most of your travel experience. Start planning your trip to Indonesia now! 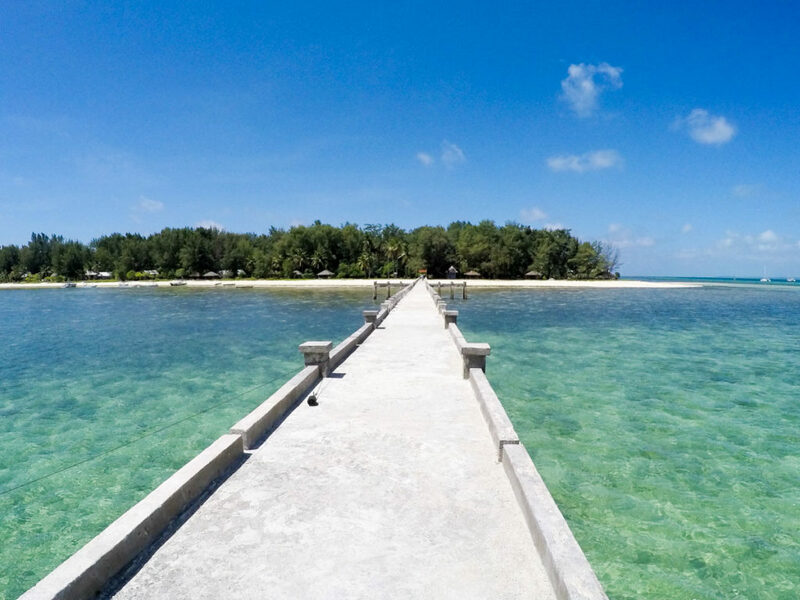 Travelling to Wakatobi Islands? Have you been there already? Share your experiences with us! PS: This trip was organized by the Indonesian Ministry of Tourism. As usual, doesn’t matter who pays the bill, you receive my honest opinion and impression. Thanks Indonesia for this great experience! Awesome! I’ve not been there but intend to visit one day. Bookmarked in mind. You must travel to Wakatobi. You have already visited so many places in Indonesia, it’s time to discover a little bit more! Gorgeous, and great photos! I haven’t made it to Indonesia yet unfortunately, but it looks like there are so many amazing spots to explore. Tamara, if you have the chance to travel to Indonesia, do it! It’s a beautiful country, and if go out of the beaten path you get to know outstanding places with great people. Jumping on the next flight! But seriously, this is gorgeous! It looks like you were able to experience so much during your time there. I especially love the snorkeling/diving. Anytime we can my husband and I are looking for new underwater experiences. Also love that you connected with the locals and the culture there! One of the best parts of travel! If you guys like water activities and local experiences, please, book a flight to Wakatobi! You gonna love it! And do it now, those islands are still preserved and almost no tourist around. It’s famous among divers, but they are all underwater, so you can have the whole beach only for you!! Beautiful pictures. I tried snorkeling for the first time this year when I was in the Galapagos Islands and what an experience that was! Would love to go to Indonesia one day. Great post :). Congrats Cristina! 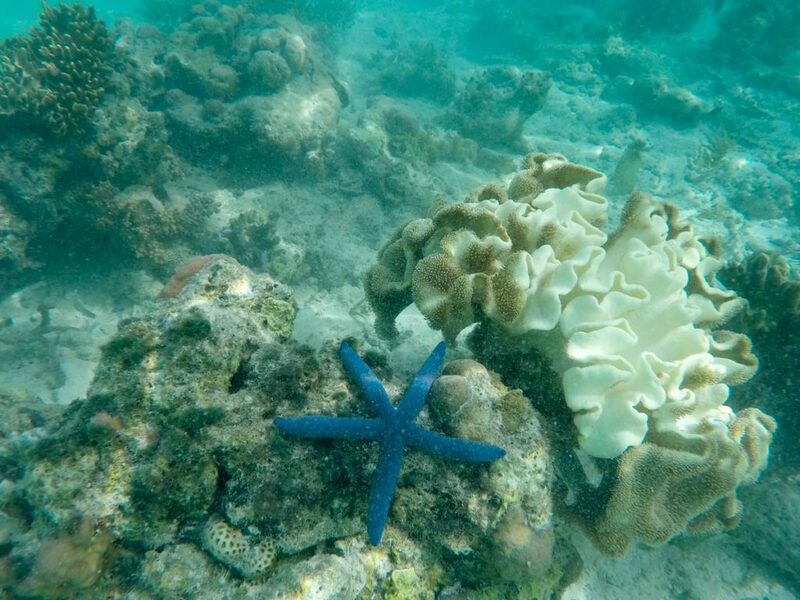 Snorkel is an amazing experience! I learned it two years ago, and now everywhere I go I look for a place to rent the equipment. It is such a unique way to discover a new destination. If you have the chance go to Indonesia, the snorkel there is outstanding. Natalie, if you have the chance go to Wakatobi!! I’m glad you included ways to respect the modest dress code for people visiting the towns. That’s interesting that it is much looser on the beaches – which are just beautiful, and look like places you could spend lots of time relaxing, reading, exploring the water. I found that Indonesia, even been a Muslim country, has a great tolerance with tourists and our “naked” habits by the beach. It’s always good and important to respect their culture and religion, but they are so used with travellers, surfers, and divers that I guess it’s more important to show respect and appreciation for their beliefs than actually cover your body. I loved being in Sulawesi for diving but we were in Lembeh Straits. The waters are so wonderful. Glad to see your cool snorkeling shots too. Indonesia is such a paradise for diving! We didn’t go to Lembeh Straits, but I bet it was an amazing dive too! Big on snorkeling and diving and it looks fantastic there! Stunning photos! If you like diving and snorkeling, than you must go to Wakatobi, one of the best spots in Indonesia and still a secret spot. Indonesia has so much to offer! I love their beautiful beaches as well as their diverse culture that thrives on it. It makes Indonesia such a lovable places because of these. To be honest, I travelled to Indonesia because of nature and beaches, but once I was there I realized how rich and diverse their culture and people are… Now I understand that their beauty goes beyond nature, their way of living that makes the country so special! Wakatobi really does look like an island paradise. Loved your photos, this sounds like such a lively and colorful place to discover. Wakatobi really surprised me, not only for the natural beauty but the people and the amazing vibe you feel there. OMG this looks like heaven! Take me there now! If I could come back I would take you with me, for sure… It’s unbelievably beautiful there!! It’s like the Bahamas but it’s not (and I do hope not as expensive) I love the Coral Reef pictures, you can see how beautiful the marine life is! Do they do diving sessions too? I’d love to try! They do dive session too, it’s one of the best spots for diving in Indonesia!! I’m heading to Southeast Asia in January, and this terrific post may have changed my itinerary. Thanks for the inspiration. So good to hear that!! Please, go to Wakatobi, is such a special place, still hidden with empty beach and lovely people! Amazing photos Natalie! Can’t wait to visit Wakatobi (and I hope I’ll visit it before it comes overcrowded). Wow, what an absolutely stunning piece of paradise! It’s so wonderful to discover these new out of the way destinations that one would never know about. We do plan to travel to Bali soon, so will definitely book mark this for later reference. 🙂 Glad I found this on Pinterest! Wakatobi is a surreal place, and if you are traveling to Indonesia you must visit it. It’s still a hidden gem, I love it! hi.. this is such a nice post. I am Indonesian and will go to Wakatobi probably in October. This post helps.. It is good that you were having a great time in Indonesia. Have you tried traveling to Maluku province? Many places in Maluku you will love..
Really happy to know that you found our post useful! Tks!!! Enjoy Wakatobi, such a beautiful place. I’ve never heard about Maluku, gonna check it out! Hi Natalie, I did not see a reference for the fast boat from Baubau. Does it still go to Wanci? Not sure if the boat is still working or if it works only on high season. We flew from Makassar to Matahora Airport in Wangi-Wangi island and it was an easy way to get to the archipelago. Do you fly to Wakatobi!? And what was the place were you fly to!? We flew from Makassar to Matahora Airport in Wangi-Wangi island (one of the islands in the Wakatobi archipelago). You can search for flights to Wakatobi here. – I’m travelling to Indonesia 16 days in august 2018. Do you think is worth it to spend 3 days in Wakatobi Islands? – You said there’s no problem if you have any diving certificate. Do you know if there’s the posibility to get the title there? – And the last one, which tour did you choose and where to visit the Bajo tribes? Nature there is stunning, although you need to consider that to get to Wakatobi it will take 1 day. The resorts we mention in the article do offer diving courses. The tour to the Bajo tribe can be arranged by the hotel as well.